These free weapons will be given each weekend leading up to E3. E3 is now a very short time away, and as it gets closer, the excitement surrounding massive upcoming releases, both announced and unannounced, grows greatly. One of the games that was only recently officially confirmed but has been on the mouths of a lot of people is Call of Duty World War 2. And with E3 approaching, we’re going to get a lot of new information on the game soon. Michael Conrey, the co-founder and studio head at Sledgehammer, recently took to Twitter to talk about the game’s presence at E3. 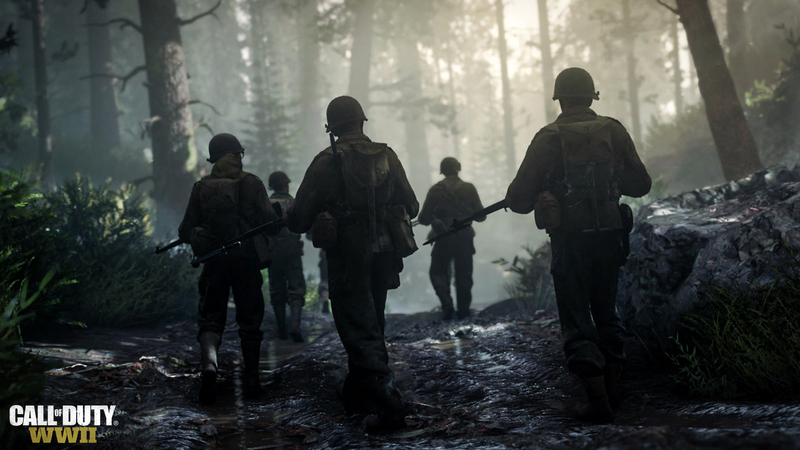 He mentioned that the team at Sledgehammer has been working on the game for over two and a half years, and mentioned repeatedly that they cannot wait to show it off at E3 this year. We’re pretty sure fans are just as impatient about the whole affair. Condrey also announced that in anticipation of the game, Sledgehammer will be giving away free World War II based old-school weapons for free in the multiplayer of Call of Duty: Advanced Warfare. These free weapons will be given each weekend leading up to E3. Stay tuned to GamingBolt for more updates on everything Call of Duty: WWII. @PrestigeIsKey Two and half years ago. So great to finally being able to share the return to roots with fans. Looking forward to more at E3!